First of the cruise reads, The Devil's Star is a definite winner. Jo Nesbø is one of the best writers of Scandinavian crime fiction out there today. 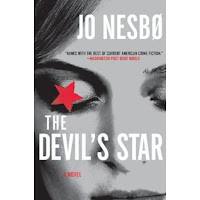 Set in Oslo, Devil's Star features Detective Harry Hole, whose life started zooming out of control when his friend and fellow detective, Ellen Gjelten was murdered while working a case. Harry has spent much of the time since in an alcoholic stupor, neglecting his work to try to catch Ellen's killer, and putting his personal life in the trash. He knows who murdered Ellen, but proving it is a whole different story. Suffice it to say that you must read (in order) Redbreast, and then Nemesis to understand this part of Harry's life. In this book, he is assigned to work on the case of a dead woman who is found with a) a finger cut off and b) a diamond cut in the shape of a star under her eyelid. As the investigation gets rolling, and there are more deaths, Harry begins to uncover a pattern, but with time winding down on his own career, he has to come to grips with his past, present and future as well. Nesbø's writing, his ability to craft a clever and engrossing series of plotlines that weave together effortlessly, and his excellent characterizations are consistent throughout the entire series. Harry Hole is one of my favorite crime fiction characters, but Nesbø doesn't stop with him. 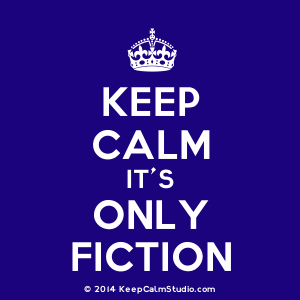 Each one of the supporting characters has a distinct reality of his or her own. Nesbø is one of the reasons I continue to be fascinated with Scandinavian crime fiction. He is a talented writer, so much so that he is my favorite author within this genre. His books are dark and often broody, but well worth every second of reading time. My advice: read Redbreast and Nemesis prior to this one because prior knowledge of what's happening will raise the suspense level for you. Very highly recommended. This was the first book of Nesbo's that I have read and I loved it. His others are now on my wish list.